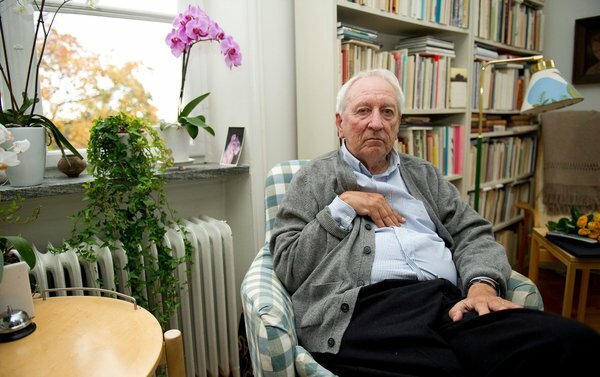 Swedish poet Tomas Transtroemer has been awarded the 2011 Nobel Prize for Literature. The Royal Swedish Academy named him the recipient “because, through his condensed, translucent images, he gives us fresh access to reality”. The 80-year-old is the 108th recipient of the prestigious prize, given last year to Peruvian Mario Vargas Llosa. Presented by the Nobel Foundation, the award – only given to living writers – is worth 10 million kronor (£944,246). A trained psychologist, Transtroemer suffered a stroke in 1990 that affected his ability to talk. His poems – described by Publishers Weekly as “mystical, versatile and sad” – have been translated into more than 50 languages. English translations were largely handled by American poet Robert Bly, a personal friend, and Scottish poet Robin Fulton. Fulton, said Transtroemer would be remembered for “his very sharp imagery that translates readily, telling metaphors and a sense of surprise”. “You don’t feel quite the same after you’ve read it as you did before,” he added. Fulton first began working with Transtroemer in the early 1970s, and told the BBC: “Some of the Swedish I’ve learnt was learnt in the process of translating Tomas. Tipped as a potential Nobel prize winner for many years, Transtroemer is the eighth European to win the Nobel Prize for Literature in the last 10 years. He is the first Swede to receive the prize since authors Eyvind Johnson and Harry Martinson shared it in 1974. Born in April 1931 in Stockholm, Transtroemer graduated in psychology in 1956 and later worked in an institution for juvenile offenders. His first collection of poetry, Seventeen Poems, was published when he was 23. In 1966 he received the Bellman prize, one of many accolades he has won over his long career. In 2003 one of his poems was read at the memorial service of Anna Lindh, the murdered Swedish foreign minister. 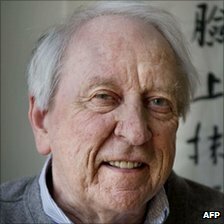 Swedish poet Tomas Transtromer at his home in Stockholm on Thursday after receiving the news that he won the 2011 Nobel Prize in Literature. Tomas Transtromer, a Swedish poet whose sometimes bleak but graceful work explores themes of isolation, emotion and identity while remaining rooted in the commonplace, won the Nobel Prize in Literature on Thursday. The assembled journalists cheered upon hearing that Mr. Transtromer, who was born in Stockholm, had won the prize. Mr. Transtromer, 80, has written more than 15 collections of poetry, many of which have been translated into English and 60 other languages. Critics have praised Mr. Transtromer’s poems for their accessibility, even in translation, noting his elegant descriptions of long Swedish winters, the rhythm of the seasons and the palpable, atmospheric beauty of nature. “He’s worked for much of his life as a psychologist, and the work is characterized by very strong psychological insight into humanity,” Mr. Astley said. Mr. Transtromer was born in Stockholm in 1931. His mother was a schoolteacher and his father a journalist. He studied literature, history, religion and psychology at Stockholm University, graduating in 1956, and worked as a psychologist at a youth correctional facility. In 1990, Mr. Transtromer suffered a stroke that left him mostly unable to speak, but he eventually began to write again. On Thursday afternoon, the stairwell in Mr. Transtromer’s apartment building filled with journalists from all over the world seeking reaction, the Swedish news media reported. Visibly overwhelmed, Mr. Transtromer finally appeared, accompanied by his wife, Monica. Speaking on his behalf, she said her husband was most happy that the prize was awarded for poetry. “That you happened to receive it is a great joy and happy surprise, but the fact the prize went to poetry felt very good,” she said, addressing him at a gathering that quickly moved into the vestibule of their home in Stockholm. There was also a celebration among Swedes, many of whom have read Mr. Transtromer since his first book of poems, “17 Poems,” placed him on Sweden’s literary map when he was just 23. But in the United States, Mr. Transtromer is a virtual unknown, even to many readers of poetry, despite the fact that he has been published in English by several widely known publishers. Jeff Seroy, a spokesman for Farrar, Straus and Giroux, part of Macmillan, said Thursday that the imprint had acquired a volume of Mr. Transtromer’s work, translated by Robin Robertson, called “The Deleted World,” originally published in 2006. Mr. Seroy said the book would be released by year’s end. Much of Mr. Transtromer’s work, including “The Half-Finished Heaven,” was translated by his close friend and fellow poet Robert Bly. Mr. Bly has been named as one of the central people who introduced Mr. Transtromer to a small but devoted group of American readers. The selection of a European writer for the literature Nobel — the eighth in a decade — renewed criticisms that the prize is too Eurocentric. The last American writer to win a Nobel was Toni Morrison in 1993. Philip Roth has been a perennial favorite but has not been selected. The committee noted after the announcement on Thursday that it had been many years since a Swede had won. It last happened in 1974 when Eyvind Johnson and Harry Martinson shared the prize. Peter Englund, the permanent secretary of the academy, said this week that the literature jury had increased the number of “scouts” it employed to scour for books in non-European languages. And once again, the jury proved its inscrutability. In previous years, the choice of relatively unknown writers like Herta Müller of Germany has surprised Nobel watchers; in other years, winners like Harold Pinter or Orhan Pamuk have raised questions about whether the Nobel committee is overly influenced by politics. While Mr. Transtromer has been a longtime favorite to win the Nobel, he has also won other prizes, including the Neustadt International Prize for Literature, the Bonnier Award for Poetry, the Petrarch Prize in Germany and the Bellman Prize. The Nobel Prize comes with an honorarium of nearly $1.5 million. Christina Anderson contributed reporting from Stockholm. This entry was posted in LITERATURE and tagged 2011, Nobel Prize for Literature, poet, Tomas Transtroemer by mabokov. Bookmark the permalink.